So, Halloween is near. It's supposed to be mostly cloudy today. You're pooped from all the Halloween partying on Saturday night. What do you do? Here's what you do. :-). Have a Halloween Scary Sunday Movie Marathon. Paranormal Activity 4. Silent Hill: Revelation (in 3D, baby!). Hotel Transylvania. Finish up with Sinister. All the films are showing at Atlantic Station's Regal Cinema. So, you can watch, then shop, then watch, then have a drink, then watch, then... You get the idea. Start out with Paranormal Activity 4 at 12:10p. This is the 4th in the series, and most agree the premise is getting a little tired. But, if you haven't ever been on the receiving end of the shadowy figure in the mirror, this is a great way to start the marathon. See the girl behind her? Watch Paranormal Activity 4 first at Atlantic Station Regal Cinema. Next, try out Silent Hill: Revelation - 3D at 3:10p. Silent Hill is a video game adaptation. In it, Heather Mason (Adelaide Clemens) and her father (Sean Bean) have been on the run, always one step ahead of dangerous forces that she doesn't fully understand. On the eve of her 18th birthday, plagued by horrific nightmares and the disappearance of her father, Heather discovers she's not who she thinks she is. The revelation leads her deeper into a demonic world that threatens to trap her forever. Oooooooo!! Adelaide Clemens plays Heather Mason in Silent Hill: Revelation. 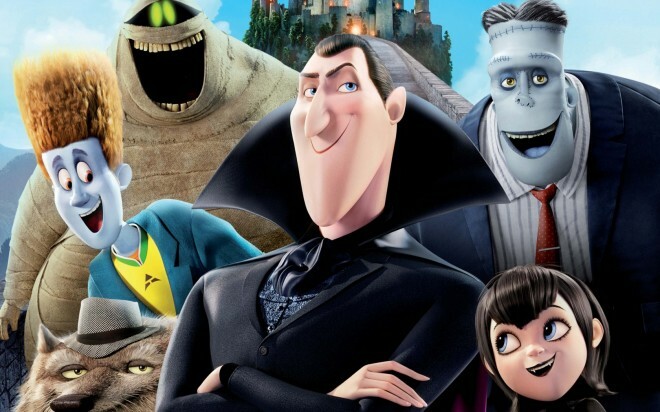 "Welcome to Hotel Transylvania, Dracula's (Adam Sandler) lavish five-stake resort, where monsters and their families can live it up, free to be the monsters they are without humans to bother them. On one special weekend, Dracula has invited some of the world's most famous monsters--Frankenstein and his bride, the Mummy, the Invisible Man, a family of werewolves, and more--to celebrate his daughter Mavis's 118th birthday. For Drac, catering to all of these legendary monsters is no problem--but his world could come crashing down when one ordinary guy stumbles on the hotel and takes a shine to Mavis." Hotel Transylvania is up third. Finally, finish things up with Sinister. From the producer of the Paranormal Activity films and the writer-director of The Exorcism of Emily Rose, Sinister stars Ethan Hawke. He plays a true crime novelist who discovers a box of mysterious, disturbing home movies that plunge his family into a nightmarish experience of supernatural horror. It's on at 9:45p at Atlantic Station Regal Cinemas. 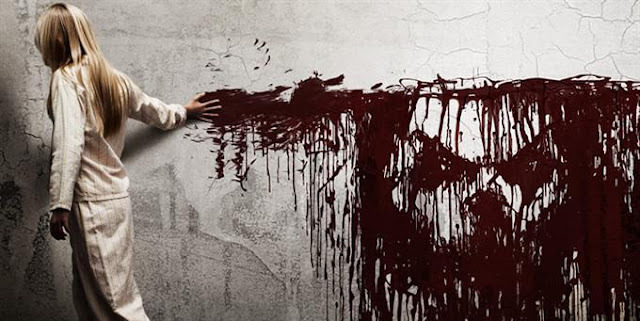 Sinister is the finale of our Halloween Scary Sunday. Second: Time for Paranormal Activity 4. It starts at 12:10p. When you're done, take a stroll around Atlantic Station and check out the shops, sites, and such. Third: Silent Hill: Revelation 3D. It starts at 3:10p. Fourth: Hotel Transylvania. It starts at 4:55p, so you'll have to go straight from Silent Hill. Fifth: Maybe time for a short nap. Hurry up and rest. Sixth: Take a break for dinner. Try out JCT Kitchen. Chef Ford puts on a regular Sunday Supper there, and it's totally worth it. A $24 prix fixe menu will bring you a table amuse bouche, a starter, choose a meat & three sides for your entree - choose a meat and three sides, and a dessert. The choices are outstanding. JCT's famous fried chicken. Pork chops with bacon jam and pork jus. Gumbo with smoked sausage and seafood. Mac & Cheese, locally raised vegetables like brussel sprouts or roasted root veg. Divine. Go sit back in the JCT ambiance, and dine. ($40 per person). 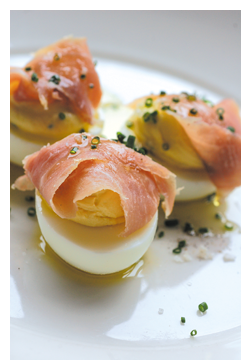 Deviled Eggs are just one of the dishes you might find at the Sunday Supper at JCT Kitchen. Finally: Sinister. It starts at 9:45p. 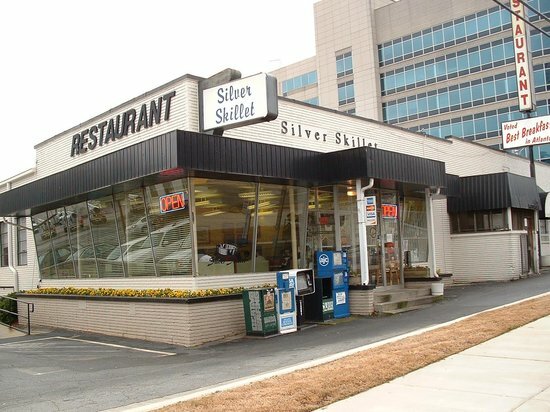 Today's full day plan can take up to about 7 miles of driving, if your home base is midtown Atlanta. The 7 miles equates to about 6 pounds of carbon dioxide, or the carbon sequestered by about 1 sq feet of forest. Calculations are based on the U.S. EPA's green house gas equivalencies calculator. 1 square feet of forest would be required to sequester this carbon.